The third installment in this adorable Level 2 Geisel Award-winning series from a classroom favorite! Mo's latest obsession is basketball. He's determined to learn how to pass, but as the shortest member of the team, he can't seem to launch the ball high enough. 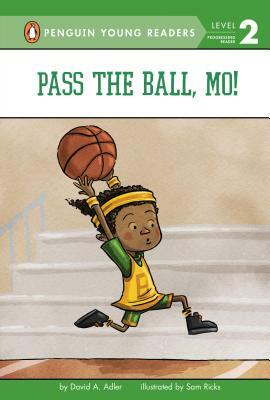 Can Mo learn to pass in time to help his team win the big game? This Level 2 reader about a little African-American boy with a big passion for sports is a funny, motivational companion to the winner of the 2016 Theodor Seuss Geisel Award.